Someone is pretty excited that she is becoming a big sister. 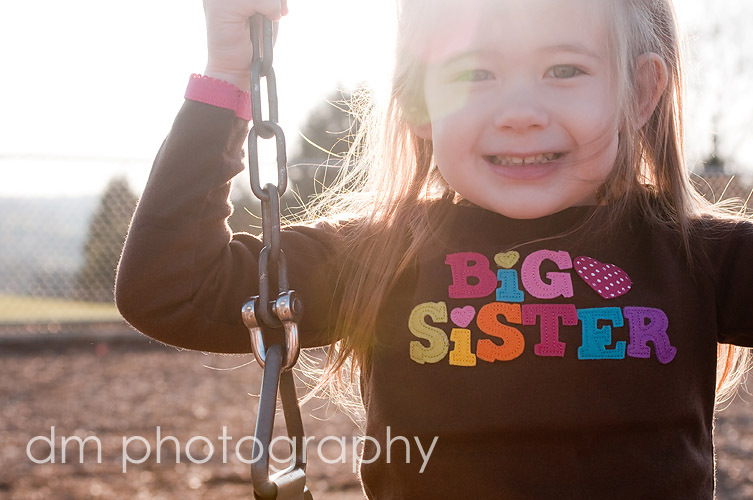 Yup, that's right, Grace is going to be a big sister. We will have a new addition to our family in May. So, to all my clients, who have been waiting patiently for web galleries, orders and lots of other stuff, this baby is why things have been taking longer than normal. Morning sickness and exhaustion have really made my life difficult. I'm slowly starting to feel better, so I hope to be a little faster getting everything completed. OMG OMG OMG OMG! Not only are these photos priceless, but I have been awaiting this announcement for so long now! Here's to feeling better! If you ever need some maternity shots, and you don't have someone fantastically awesome lined up....drop me a line :) CONGRATS!! AHHHHHHHH! I am so excited for you and Mike! What great news! Many, many, many congratulations. 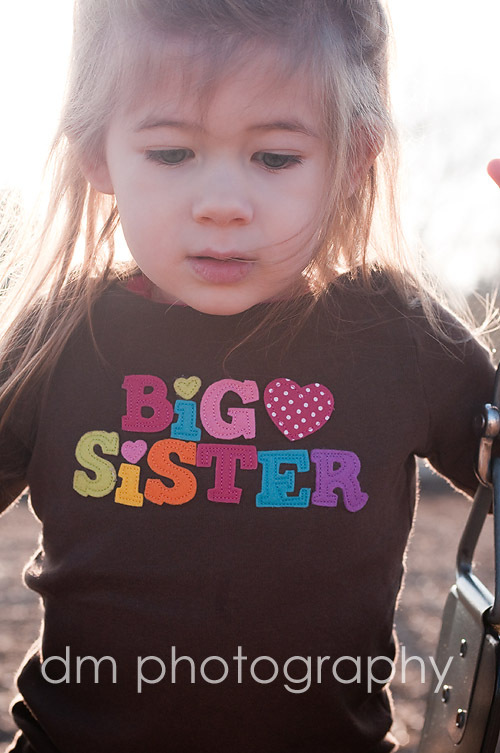 PS Grace is going to make the best big sister ever. 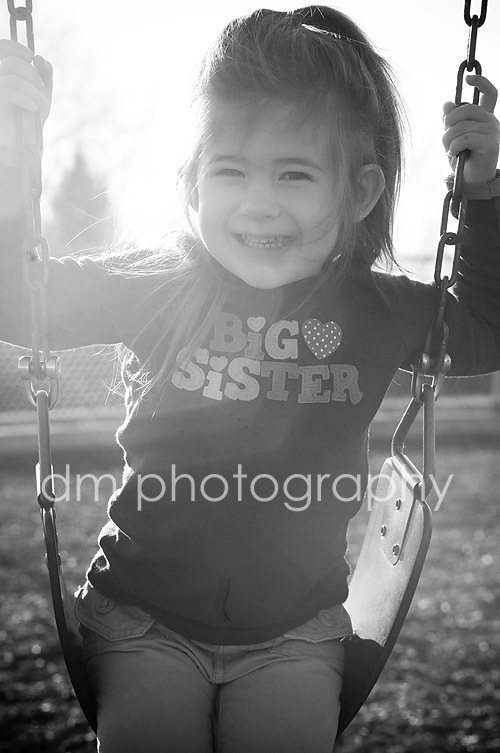 Love the big sister sweater! Grace looks very excited. I'm so happy for both you and Mike! Congrats! BEAUTIFUL! :-) Great pictures, love the post - and her shirt!